This is me taking part as a 4-member team in the Mizuno Ekiden Relay Run. 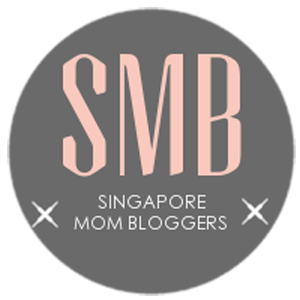 The other members are fellow mom bloggers Cynthia (ilovedefamily), Christy (kidsrsimple) and Mei Chee (finallymama) with whom I participate in regular local running events like the Great Eastern Women’s Run (GEWR) and NTUC Run. Together, the four of us formed a group called the Racy Mamas. The Mizuno Ekiden Run is a relay run where each member will run 5.3km of the entire distance. This is the second year that the race was held and over 4,000 runners took part. What makes this run different is that it was my first race in the afternoon and the first where I will be running alone to complete my 5.3km segment. This was the tagline for the run. At 4pm on a beautiful, warm Saturday (16 July) afternoon, runners gathered at The Promontory @ Marina Bay. The running site was abuzz with excitement. Even though the run will take place in batches, the second, third and even fourth runner were on site to cheer their team mates on. Below is a picture of Cynthia (the first runner) and me (the fourth runner). In the background, runners hung out and waited for their team members. Cynthia had already finished her quarter of the run, our second member Christy was running and Mei Chee, our third member waits for her turn in the waiting pen. So I got to hang out with Cynthia for a while. There are many things to do while you wait for your team mates to finish their run. 1)Take selfies in front of the giant inflatable Mizuno shoe, which also serves as an icon to meet after the run. 2) Go shopping and buy an actual pair of Mizuno running shoes or athletic wear. They were on special price at $99 and 30% off respectively. 3) Have a beer, a snack or play games at one of the food, drinks and game booths. You have to purchase coupons to make any purchases. Only Japanese food or drinks were served. This run was very well organized despite the relay element. We could track our team mates’ running time and pattern via our phones or on a big screen. Hence we could estimate the return time of the runner before us and be on standby in the waiting pen for the sash to be passed to us. There were four waiting pens for each of the first, second, third and fourth runners. You wait in the pen according to your number. So, if I am the fourth runner, I waited at the fourth runner’s waiting pen for my turn. This is what the pen looks like after the runners have left. You can do stretches and get ready for your turn. Each member of the team wears the sash while they run. This was a quiet and serious run. Every runner was focused on his or her steps and breath. No one stopped to take selfies or group photos. Each runner was motivated to finish their lap of the race and pass the torch to their next runner. It was a beautiful running path along the Marina Bay Boardwalk with a loop on the Helix Bridge to the Esplanade waterfront and back. A beautiful sunset accompanied me as I ran back towards the Finish line. No, we did not win the race. But we finished the race and did it as a team. And that in my books is a win in itself. Here is the team taking the ubiquitous victory photo to commemorate our friendship as moms, as bloggers, as women and as running mates. Running will not be as fun or motivated for me without the encouragement and support of these women. Thanks ladies!! And here is what our four finisher medals look like when it is combined. Teamwork!! On top of that, we had the pleasure of being featured together in Material World, an online magazine.